You may not reproduce, copy, modify, distribute, market, display, transfer, sublicense, assign, prepare derivate work(s) or adaptation(s) based on, sell, exchange, barter or transfer, rent, lease, loan, resell or in any other manner exploit the currency data or information provided to you by or through XE. 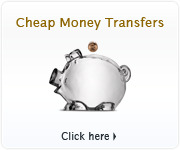 You may not disassemble, translate, reverse engineer or otherwise decompile the currency data. You acknowledge that XE owns all right, title and interest including but not limited to all copyrights, in and to the currency data being provided to you. You further acknowledge that you will not take any action inconsistent with such ownership. 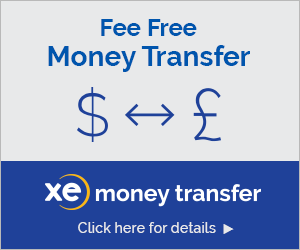 XE does not grant you any ownership rights in or to any of the currency data being provided. YOU ACKNOWLEDGE THAT XE OBTAINS ITS CURRENCY DATA FROM A VARIETY OF SOURCES. YOU FURTHER ACKNOWLEDGE THAT CURRENCY DATA IS COMPLEX AND SUBJECT TO RAPID CHANGE AND OFTEN DIFFERS BETWEEN FINANCIAL INSTITUTIONS AND BETWEEN GEOGRAPHIC JURISDICTIONS AND ACCORDINGLY MAY VARY FROM THAT PROVIDED BY XE. 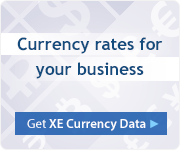 ALTHOUGH XE HAS USED COMMERCIALLY REASONABLE EFFORTS TO OBTAIN THE MOST ACCURATE AND TIMELY CURRENCY DATA AVAILABLE FROM THE AFOREMENTIONED SOURCES, XE MAKES NO REPRESENTATIONS OR WARRANTIES AS TO ACCURACY, AUTHENTICITY, TIMELINESS, RELIABILITY, APPROPRIATENESS, CORRECT SEQUENCING OR COMPLETENESS OF THE CURRENCY DATA. ALL INFORMATION PROVIDED BY XE IS ON AN "AS IS" AND "AS AVAILABLE" BASIS, WITHOUT WARRANTIES OF ANY KIND WHATSOEVER, INCLUDING ANY IMPLIED WARRANTIES OR WARRANTIES OF MERCHANTABILITY, FITNESS FOR A PARTICULAR PURPOSE OR NON-INFRINGEMENT OF THE RIGHTS OF THIRD PARTIES. XE WILL NOT BE RESPONSIBLE FOR ANY PROBLEMS OR TECHNICAL MALFUNCTION OF ANY TELEPHONE NETWORK OR LINES, COMPUTER ON-LINE SYSTEMS, SERVERS, INTERNET ACCESS PROVIDERS, COMPUTER EQUIPMENT, SOFTWARE OR ANY COMBINATION THEREOF INCLUDING ANY INJURY OR DAMAGE TO YOUR OR ANY OTHER PERSON\'S COMPUTER AS A RESULT OF USING THE CURRENCY DATA OR XE\'S WEBSITE. YOU ACKNOWLEDGE AND AGREE THAT ANY RELIANCE ON OR USE BY YOU OF ANY INFORMATION MADE AVAILABLE BY XE WILL BE ENTIRELY AT YOUR OWN RISK. IN NO EVENT WILL XE, ANY OF ITS AFFILIATES NOR ANY OF ITS DATA PROVIDERS BE LIABLE FOR ANY DIRECT, INDIRECT, CONSEQUENTIAL OR EXEMPLARY DAMAGES ARISING FROM THE USE OR THE PERFORMANCE OF THIS INFORMATION, EVEN IF XE OR DATA PROVIDERS HAS BEEN ADVISED OF THE POSSIBILITY OF SUCH DAMAGES. XE, XE.COM, UNIVERSAL CURRENCY CONVERTER, the spinning 'X' and currency logos, and other identifying marks of XE Corporation are and shall remain the trade-marks and trade names and exclusive property of XE Corporation, and any unauthorized use of these marks is unlawful. All rights are reserved.